Unfortunately Guns or Roses will no longer be able to perform due to illness. All customers have been contacted. 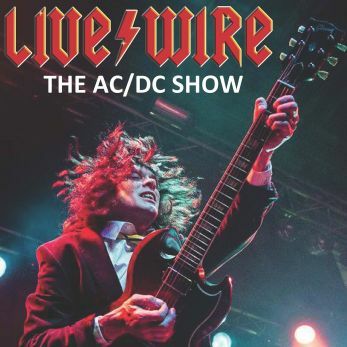 The hugely successful and unique six-man tribute to rock music's greatest band AC/DC, complete with cannons, a wall of Marshalls' and over two hours of High Voltage Rock 'n' Roll in a show critically acclaimed for its closeness in look and sound to the real thing. Both Bon (Dave) and Brian (Podge) are present on the Rock and Roll train for a night to remember and with the Rhythm section ‘locked in’ the freedom of the stage and the music is given to Simon as Angus Young who gives an uncanny performance with meticulous detail in appearance, energy and playing. Guns or Roses are widely regarded as the most authentic sounding tribute in the UK and can even boast the very same guitar rig as Slash himself. With signature equipment and custom made costumes, the band adopt the sound, look and attitude of the original LA legends. A force to be reckoned with, Guns or Roses have to be seen to be believed.